One of my favorite electronic/dance albums of the year is Bones in Motion (review here) by Andrew Morrison, a Northern Ireland producer who records and performs as The Cyclist. Andrew's work is subtle and inventive. But one of its most defining characteristics is its warmth. It is desire to infuse electronic dance music with warmth that has prompted his latest effort, a self-released EP he named Digital White Label. It is comprised of six tracks that display a beating heart in the techno wizardry. The first two tracks can be streamed below. The entire EP is available at the Bandcamp link below. Tom Lark makes home-cooked pop music in Christchurch, New Zealand. His latest creation is "Haircut", an energetic tune that has hints of '60s British Invasion (just who haven't they invaded anyway? 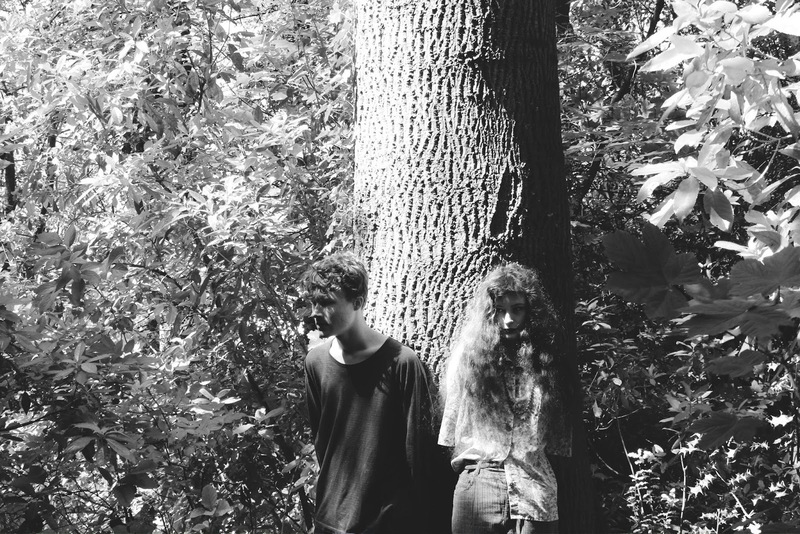 ), and "Go Get A Job", which features a vampy rhythm and '90s fuzz. I think it is good stuff. If you agree, you may want to hit the Bandcamp link and check out his 2011 EP. Do you have an indie pop lover on your Christmas list? I'm thinking of someone who appreciates guitar pop with a twee bent, a literate approach, a broad musical palette and a bit of an attitude. Someone who would understand the value of analog recording at the famous Dub Narcotic studio in Olympia, Washington. Some years I'd give you a sympathetic shoulder to cry on, because this kind of music fan may be tough to please. But this year we can make a suggestion that might cross a name off your list before the retail Armageddon known as Black Friday. 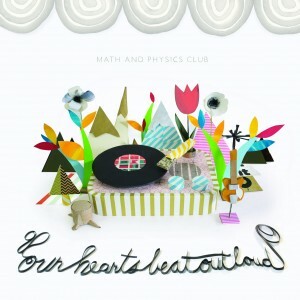 Yes, we can, because Matinee Recordings has just released Our Hearts Beat Out Loud from Seattle's Math and Physics Club. The album delivers ten nuggets carefully crafted to tug your heartstrings, remind you of joy, take you to the bring of melancholy and then bring you back with a big sigh and expectation for a bright tomorrow. There is classic twee pop, a few with a relaxed country feel ("We Didn't Run From Anyone" and "Thank God I Met You"), and a few that are more aggressive than is typical for this trio. The basic set-up up is fleshed out with occasional organ, harmonica, cello and even a glockenspiel (Does one need a license for a glockenspiel?). And the songs here bear that hallmark of good songwriting -- the ability to express raw emotions honestly without having to rely on excess drama. And with the assured musicianship, warm vocals and pop hooks, we can take everything Math and Physics Club is serving. An excellent introduction to the record is "We're Not Lost", just under four minutes of delicious young heartache. If you are keeping lists of best indie pop songs of the year, you can write this one in on the list even before you press play. One of the standout tracks is the previously released single, "Long Drag", on which the band shows a new dimension -- a narrator who is angry and willing to point out that his lover was the one who failed to work on the relationship. With staccato percussion and handclaps, it is a great song with a killer refrain that underscores the power of music to heal wounded hearts. Math and Physics Club is Charles Bert (vocals/rhythm guitar), Ethan Jones (bass/keys), and James Werle (guitar). Jones co-produced the album with Bob Schwenkler. Although I don't usually mention album art, the design for Our Hearts Beat Out Loud is an beautiful papercraft sculpture by New York artist Tae Won Yu. The album is available on CD and 12" vinyl. 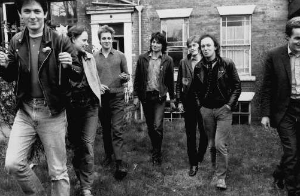 Friday Nuggets: The Mekons "Empire of the Senseless"
The Mekons are certainly not a garage band in the narrow sense of the term, any more than they are a punk band, alt-country band, Brit rock band or any other label you might try to pin on them. One of the most respected if criminally underrated bands of all time, The Mekons have been doing their thing since 1976 when they formed in Leeds, England. And they have never followed any rules or formulas. The Mekons were always experimenting, introducing new sounds and instruments, and consistently taking chances and following their own instincts. Few bands have stayed as true to their own ethos. The art school anarchists made up their own rules and managed to outlast their peers that inspired them like the Clash and the Gang of Four. The Mekons now make their home in Chicago, where head Mekon Jon Langford is particularly active on the music (Waco Brothers, Pine Valley Cosmonauts) and art scenes. One of my favorite Mekons songs is "Empire of the Senseless" from their classic 1989 release The Mekons Rock 'n' Roll, which if you've not heard the Mekons before is a fine place to start. I particularly recommend this record to the many Guided by Voices fans who frequent our blog here. REVENGE OF THE MEKONS trailer from Joe Angio on Vimeo. It's never too late to discover the Mekons. If you, like me, are collecting the records from Glasgow's The Deadline Shakes, your next opportunity will come on December 9, when the label Flowers In The Dustbin will release "Bright Spot In A Bad Year". It should be noted that the band has not had a bad year. They have played shows and festivals, been mentioned favorably by music critics, and had their songs played on radio. However, the protagonist in the song has faced many challenges, and yet manages to adopt an impossibly positive perspective on his life. The song may be one of your musical bright spots of the year. It has a compelling melody and an uptempo beat. The boys play the song with conviction and joy, and the positive attitude is infectious, even if it comes with a wink. The single is available for pre-order from the label, and will be available from the usual digital outlets. Assuming Homer knew his stuff, Proteus of mythology was the original 'old man of the sea'. Proteus, like his liquid domain, changes shapes, attitude, and levels of welcome and danger. 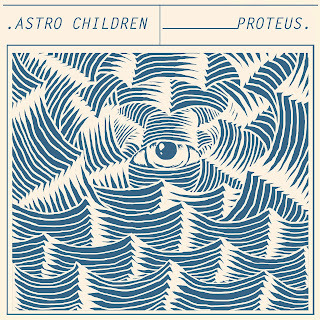 One listen to Proteus, the sophomore LP from New Zealand's Astro Children, reveals that the title is aptly chosen. Proteus presents the band's untamed, but tightly disciplined exposition of their sound. At times churning or threatening, other times calm or soothing, the album is a frequently changing and often mysterious mixture of textures and emotions. But going beyond the connection with mythology, the songcraft seems to me to be like a virtuoso display by an Iron Chef -- sweetness balances acidity, tenderness is surrounded by crunch, bombast is cut by tenderness. And all of it is served up by a duo consisting of Millie Lovelock, a fierce front woman with a voice, a guitar and an arsenal of pedals, and Isaac Hickey on drums and occasional background vocals. The resulting eight songs make for an aural feast that will put this album in a lengthy rotation. 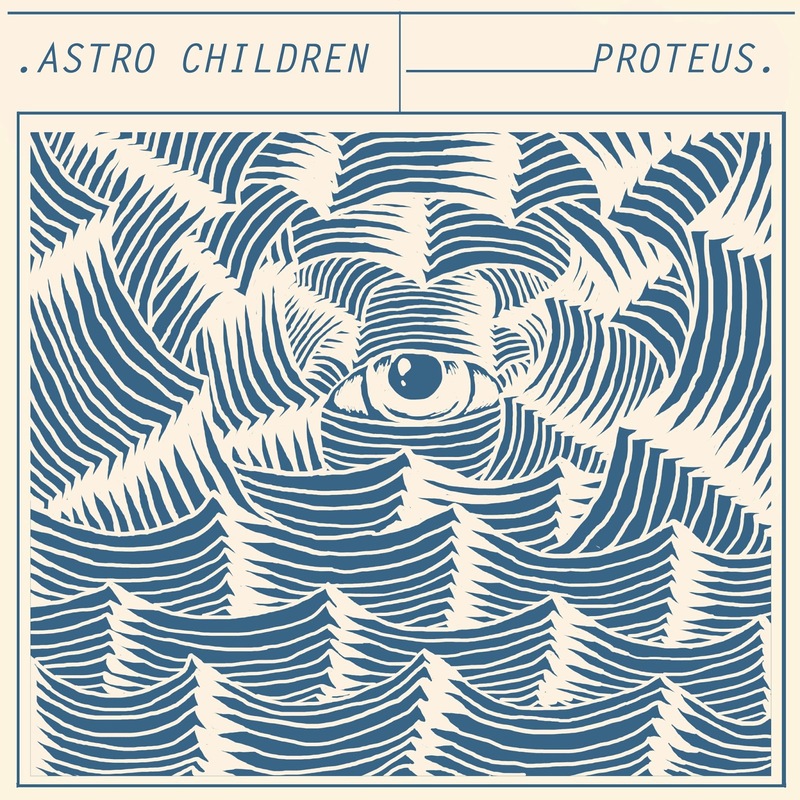 One of the Astro Children manifestations is dream pop, which is best represented on Proteus by "Gaze" and "Jamie Knows". The latter is one of my favorites -- cryptic references to something going down tonight and someone being asked to help the narrator fall, wrapped in sweet vocals and delicious guitar chords. I seek to eventually play the album without repeating the song; I'm not to that point yet. Several of the tracks, including "Nora Barnacle" and "Eden", reveal a harder, more overtly dark side to the band. In "Eden", Millie appears to speak to a former lover. And while admitting that she succumbed to a fallacy, admonishes him for being dark, grim and mean. The arrangement supports the lyrics with a mix of textures and tempos. The opening track, "Sunday Afternoon", is a romp that plays with guitar effects, sonic atmosphere and tribal beats. It is mostly instrumental, but includes spoken words (Millie thinks they are from Pynchon, but doesn't recall for certain). The album closes with "Yonsi", a more measured wind-up underneath a reading from T.S Eliot's "The Love Song of J. Alfred Prufrock". Astro Children are a band that ignore the rules. And they stand as proof that talent plus audacity can bring big rewards. Proteus was recorded at The Attic in Dunedin by Adrian Ng (member of Trick Mammoth with Millie and Sam Valentine of Males). 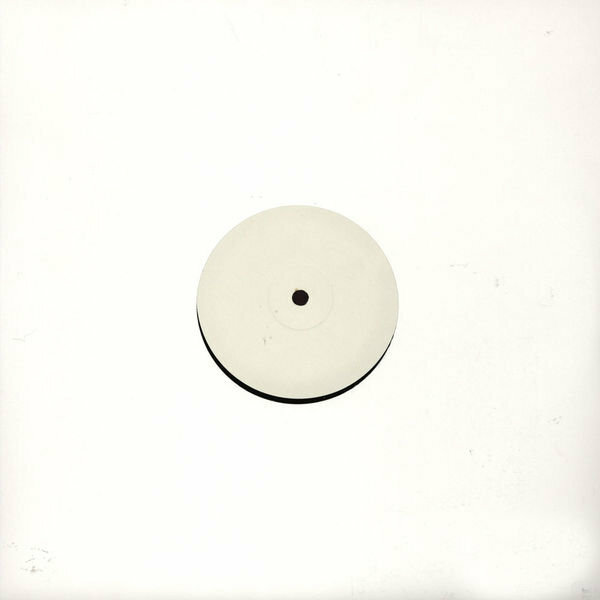 It is available now via New Zealand label MUZAI, and can be downloaded at the Bandcamp link below for "name your price". Peace on Venus is the kind of album I get lost in. Happily lost, I should add. It consists of five tracks of psychedelic rock from Philadelphia's Bardo Pond. The framework for the band was formed twenty-two years ago by sibling guitarists Michael and John Gibbons. In 1991 they added Isobel Sollenberger on vocals and flute, Clint Takeda on bass, and Joe Culver on drums. The current lineup remains the same except that Ed Farnsworth, and now Jason Kourkounis, has replaced Culver on the drums, and Aaron Igler adds synths and electronics. The music of Bardo Pond is a sonic exploration. The explorers' targeted landscapes are shoegaze, heavy rock, psychedelia and drone; their tools are reverb, feedback, and heavy riffs, with counterpoint provided by soaring female vocals and floating flute figures. The listener is invited into a world of textures, hypnotic tempos and unexpected structures. Put on your headphones and go for a sonic ride. If you know Bardo Pond, you likely know that you want to listen to the album. If the band is new to you, try out the second track, "Taste", below. Peace on Venus is out now on Fire Records. The so-called Research Triangle of Raleigh-Durham-Chapel Hill NC is known as a good locale to start a business. We might as well add Michael Rank Enterprises to the list. Mermaids is Rank's second CD release of 2013, following on the heels of In The Weeds, which we reviewed here in March. And Rank plays live shows on a regular basis, hosts a weekly radio show (The Dust Hand Sessions), enlists the help of a dozen or more top local musicians to play on his CDs, recorded and mixed at 4 different NC studios. Full employment for all of Chapel Hill! (hey kids, don't forget to tip your bartenders). Mermaids forms a trilogy of sorts with In The Weeds, and its 2012 predecessor KIN -- largely acoustic, rough hewn country music about heartbreak, rooted in a timeless Keith Richards/Gram Parsons aesthetic. The songs are personal in nature and Rank holds nothing back, working without any mask or artifice, making these songs strong and real. Mermaids utilizes the strengths of two musicians in particular - the vocals of Emily Frantz (Mandolin Orange), many of the songs here being vocal duets, and fiddler John Teer (Chatham County Line). Frantz's voice is a beautiful instrument that is the perfect compliment to Rank's raspy drawl, like sweet vermouth to the bourbon. I first met Rank 20+ years ago when his rock band Snatches of Pink ruled the scene in Chapel Hill, putting out a couple of great records and torching the Cat's Cradle in their rare appearances there. But Rank wasn't always the easiest guy to deal with, his attitude sometimes matching his vast talent. But time and life's experiences have made Rank a more generous and humble man, and he seems to appreciate the opportunity to make music. While many songwriters seem to have less to say as they get older, Rank is the opposite - the songs seem to be bursting out of him. He's making the most of his musical gifts, his access to great players, and a hard earned perspective on life and music. Mermaids represents Rank's continued maturation as a singer-songwriter. Michael Rank is on a roll. You should check Mermaids out, you won't be disappointed. Well, it certainly is true that some like it pop. And I maintain that those who like it pop will most certainly like Some Like It Pop, the third LP from Glasgow's Bubblegum Lemonade. The band is the project of Glasgow's Lawrence "Laz" McCluskey. And while it is guitar pop, and those guitars most definitely jangle, it cannot be categorized merely as jangle pop. Laz's palette is broader than ever and the set mixes downbeat songs with the upbeat, fuzzy distorted The Jesus and Mary Chain blasts with the chiming bubblegum, Teenage Fanclub power pop with Lucksmiths' melancholy, and the idiosyncratic pop of Belle and Sebastian with the soaring anthems of Phil Spector. 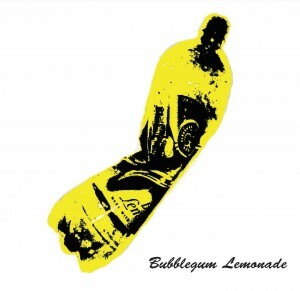 I was an early adopter of Bubblegum Lemonade, picking up the Ten Years Younger EP in 2008. I've always found Laz's music captivating, but I'm particularly impressed at his growth as a songwriter over the ensuing five years. And I can confidently write that if you are only going to own one Bubblegum Lemonade record to date, this is it. You can enjoy a four-track sampler of the album below. It begins with the uptempo rhythms of "Dead Poets Make Me Smile". Its sunny melody and literate lyrics will brighten your day. The proceedings take a darker cast with "You Can't Go Back Again", which reminds me of the moody folk rock of The Grass Roots (that's a '6os reference, for you youngsters). The next track is, for me, one of the album highlights. "Have You Seen Faith", previously released as a single, has the melody, guitar hooks, and performances that make for a perfect three minute pop song. At the end of Laz's career, he will have written many fine songs, but this one will be in the top group. The sampler closes with "She Brings The Sunshine", another pop nugget with echos of The Monkeys and the best of C86. Matinee Recordings thinks it could be a single, and I'll endorse the notion. And those tracks are only one-third of the album. There is more '60s flavored guitar pop such as "It's Got to be Summer", '90s power pop like "Famous Blue Anorak" (nice bongos, too), and gentle downtempo in the form of "Don't Hurry Baby". This is one of those albums that won't sit on your self. You'll want it on your portable devices, you'll want it in your car, you'll want it on regular rotation at home. Go ahead, wear it out. That's what it is for. Some Like It Pop is out now via Matinee Recordings. Loon Lake's "City Lights" is an indie pop tune that gathers momentum as is unfolds. It worms inside your head and before you know it, there is a pop anthem thrashing about your cranium, tickling pleasure synapses. Don't worry, the condition is not fatal and the lasting consequences are a smile on your face and a spring in your step. 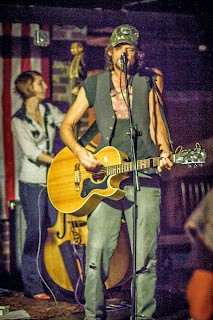 If you like the song, check out Loon Lake's website. The recently released LP, Gloamer, can be streamed in its entirety. I think the 14 tracks thereon make a good claim that this is a band hitting its stride. Loon Lake is Sam (vocals/guitar/keys), Sime (guitar), Dan (guitar), Timmy (bass) and Nick (drums). Last year we posted a free garage rock nugget from Collider (here). 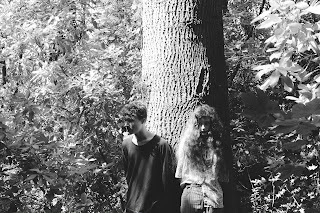 They are back again with a fine two-song single released last week via Tye Die Tapes. Punk guitar riffs, thundering percussion and well crafted melodies -- this is good garage rock. The record gives the listener a bit of variety, as the second track is more relaxed and you may find yourself encouraged to sing along. Go ahead, no one will mind. These songs are good enough that I'm prompted to give the lads some career advice: Record an album. Yes, I expect that audacious nugget is unexpected and never before uttered in their presence, but I'm a bold guy, dispensing important advice for free. Check out the lead track below. Collider are Paddy, James, Bobby, Simon and Adam. Yes, the photo above only shows three men. I have no idea which two are missing.